“If you are relaxed, you can’t be anxious and tense. Relaxation is a technical skill anyone can learn.”– Joseph Wolpe, M.D. Scientific Relaxation is a trained skill, not counseling or therapy. Leading scientists today report that the chronic tension caused by anxiety and stress is cumulative and leads to physical and emotional symptoms, illness, premature aging and even death. Marylou teaches how to “be relaxed” in the midst of our everyday, busy and often challenging lives. Scientists report that we waste 30-60% of our energy when stressed. By reclaiming this energy, we are renewed with a vitality that allows for greater productivity, creativity and fulfillment in our lives. 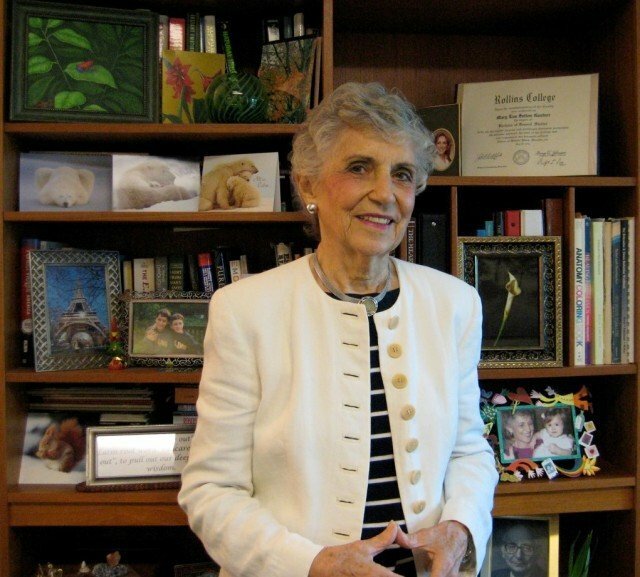 Marylou studied with world renowned psychiatrist Joseph Wolpe and completed courses in her field at the University of Florida, Harvard University, the University of Central Florida, and Temple University. With over 40 years in private practice in Central Florida, she has helped thousands of clients regain their well-being. Using biofeedback, Marylou teaches the powerful skills of progressive and differential relaxation and proper breathing. Her approach is personalized to her clients’ needs. The American Institute of Stress estimated in 2016 that 75 to 90% of medical visits are stress related. In 2016, the National College Health Assessment reported more than half of college students have overwhelming anxiety. This need not happen! Marylou’s passion is to teach people to use their miraculous self-healing capacities to live productively and feel joy again. Everything we need is hardwired into our brains and nervous systems. We just need to learn how to access it. In just a few sessions, you can experience the power of Scientific Relaxation and begin to learn how to dramatically change your life and health. How would your life change if you were free of these common symptoms of chronic tension and stress? Marylou is the kind of person who can change your life. She surely did mine 20 years ago when she told me that by learning to breathe deeply and relax my muscles I could be relieved of the anxiety sensation that never left me! Marylou cares deeply about her clients and her personalized approach makes all of the difference in the world. With a demanding career, a new baby, many health problems and huge list of responsibilities, the skills she taught me have been a life-line ever since. I strongly recommend Marylou without reservation! My life changed so quickly and dramatically when I started learning these skills that I wanted everyone to know about them. After only 6 sessions, my chronic headaches are virtually gone, and the pain in my neck and shoulder has improved by 70%! In terms of prevention and crisis help, it has been the single most significant factor in my life. I don’t clench my teeth anymore! I’m a busy physician with a busy practice. My training with Scientific Relaxation & Biofeedback helps me get through my hectic days! I slept my 1st full night in 20 years! I don’t feel rushed inside any more. I feel calm, and yet I get even more accomplished than before! Why haven’t I known about this before?! I started this therapy for two reasons: 1. Get off blood pressure medicine 2. Sleep through the night. I am thrilled with the progress I have made on both fronts! I had been stressed for so long that I no longer recognized when I was stressed. Trapped in a life limited by cardiovascular disease, Marylou gave me back my life when she taught me Scientific Relaxation. Within 2 weeks I went from 10 minutes and 3 mph on the treadmill to 30 minutes and 3+ miles without struggling to breathe! I would highly recommend Marylou Gantner to anyone suffering from stress and anxiety. I’ve had this problem for so many years and I can honestly say that after only a few sessions I no longer get that gnawing anxiety feeling in my stomach. I am much more relaxed and calm in general! I have suffered from anxiety and stress for much of my adult life. Marylou taught me the importance of breathing correctly. I knew that I was a shallow breather and after practicing some deep, belly breathing with her I immediately felt the difference! I continued to practice this every day and the calming effects during my day to day activities are enormous. Recently I was hired for a new job and I know it was thanks to Marylou that I was able to stay calm and confident during the interview. I am very close to mastering the art of remaining calm in high pressure situations. I have learned not to cry when overwhelmed. These were two major problems in my professional life. Marylou, I cannot thank you enough for giving me the inspiration and the tools to keep my life in balance. You have been a major force in my recovery from depression and anxiety. I have learned the importance of simply breathing. I have learned how to incorporate progressive & differential relaxation into my daily life. I will continue my daily practice for the rest of my life!